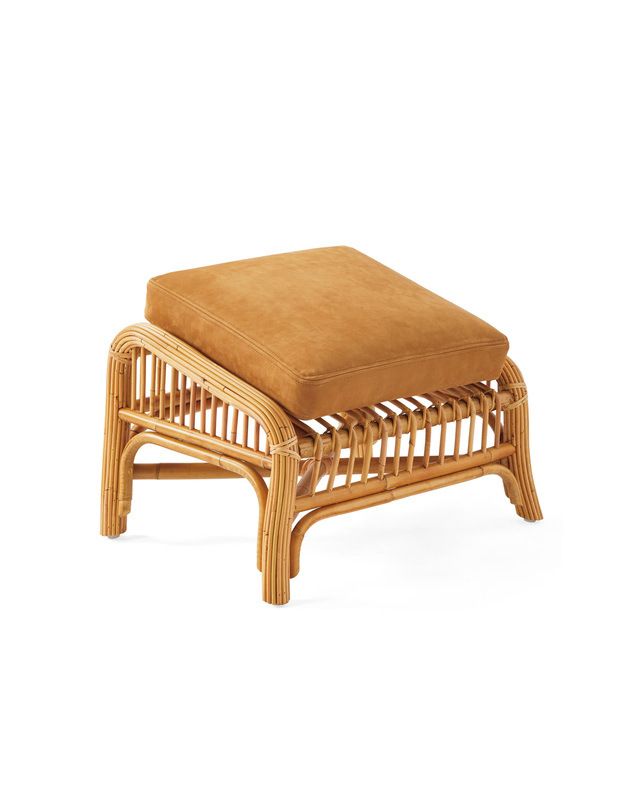 Bodega Bay OttomanBodega Bay Ottoman, alt="Bodega Bay Ottoman, "
Print A classic piece, now with a modern-meets-natural twist. 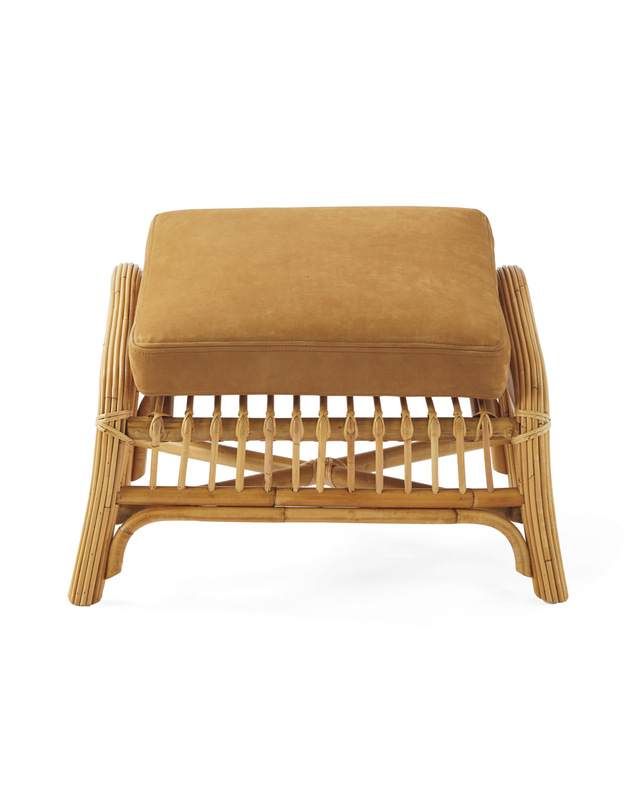 With a light and airy vibe we love and a plush cushion, this beautiful ottoman strikes the perfect mix of relaxed and refined. 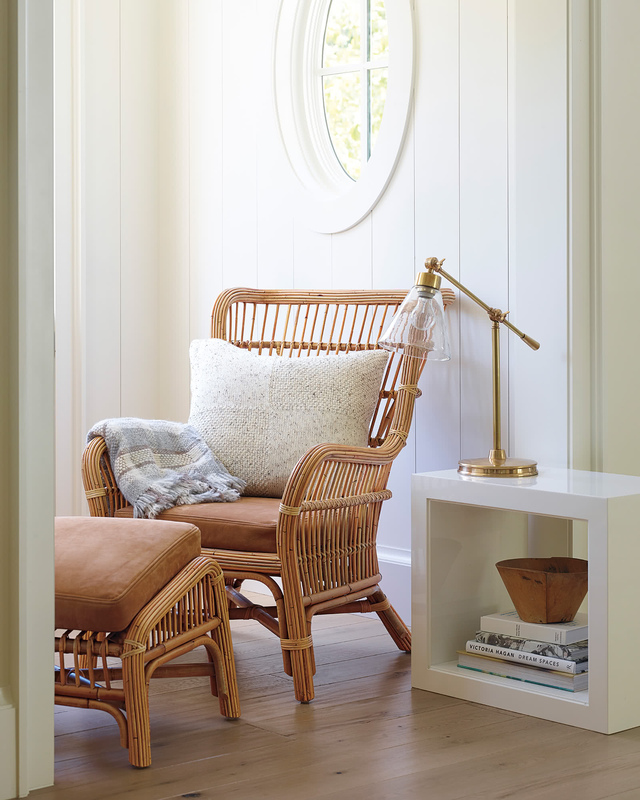 The handcrafted rattan frame has that warm, beach-house-chic look we love, and the way it gently slopes forward provides comfort equal to its beauty. 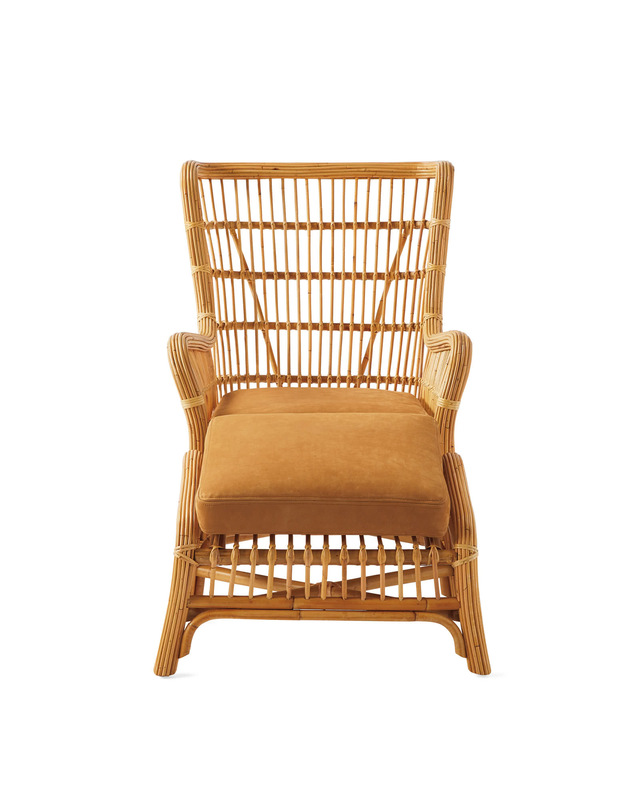 Frame is handcrafted of natural rattan with a clear lacquer finish. 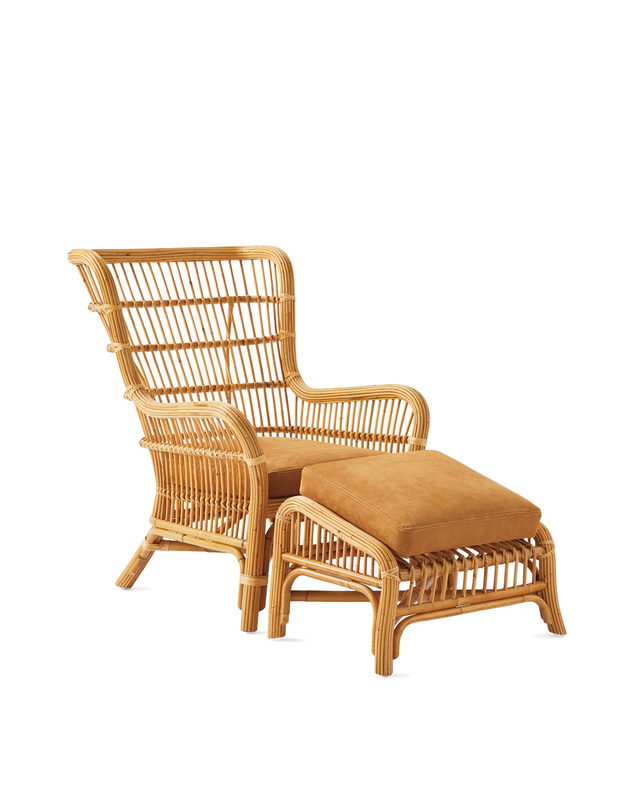 Cushion features genuine leather top and sides with a polyester lining on the bottom, or Perennials® White Basketweave fabric. Clean frame with a damp cloth; wipe dry. Blot spills immediately with a clean, dry white cloth. Cushions should be spot cleaned only. 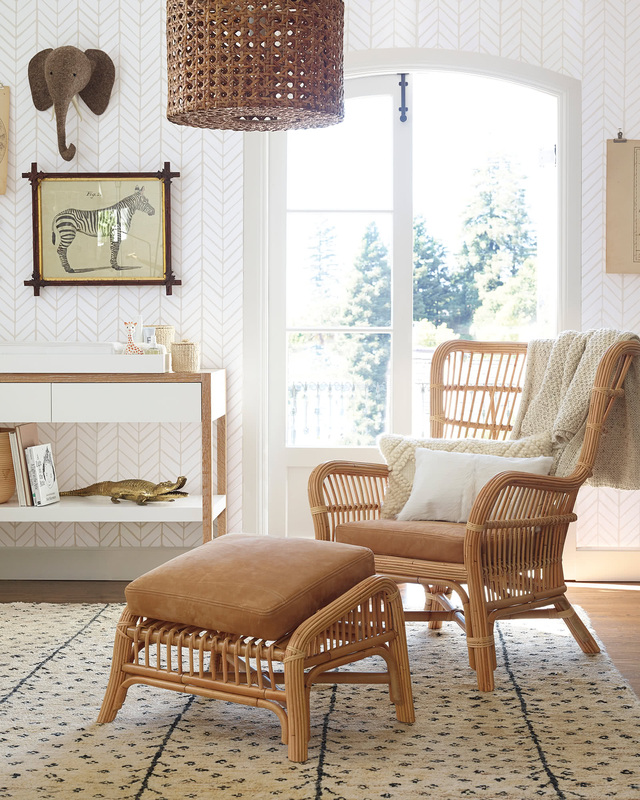 We do not recommend the use of chemical cleansers, abrasives, or furniture polish on our clear lacquer finish. 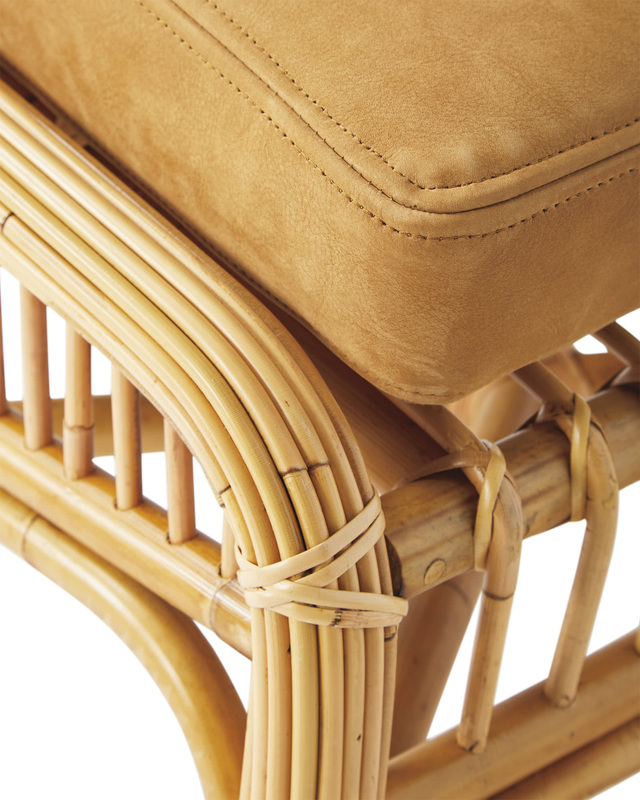 Leather and fabric cushions are made in the USA. 26.5”W x 19”D x 15.5”H overall.